One of the questions that homeowners are trying to address is, “Should I sell or hold on to my property?” Experts say that homeowners must stay in their home for at least five years before selling for a good profit from their investment. But then, many are still not selling. And here are some reasons as well as the top US Cities where homeowners stay put (and do not relocate). Should I sell or hold on to my property? According to different studies, many homeowners tend to stay longer in their homes in the past years. They keep living at the same residence for an average of between 6 and 10 years (2008 and 2014, respectively). For the most part, studies have revealed that many have stayed because they got nowhere else to move to or go. In the recent years, there has been a rise in demand despite lack of homes for sale supply, too. But what places are where homeowners stay and hold tight on to their residences? While the median home list price here is $270,000, the locals stay put in 100-yr old homes, each passed from one generation to the next. According to the local real estate agents here, most people aren’t moving or transferring from one community to another. They also stay put because some city school systems have improved, putting less pressure on the families to move into the suburbs. Residents cannot just leave their lovely city and won’t dream of doing it. Neighborhoods here are where the people have strong brotherly love for each other. Los Angeles is on one side of Oxnard and has homes valued at an average of $762,600. But on the other side are more expensive properties, and that is in Santa Barbara, where each property can have an average value of $1.4 million. In Oxnard, on the other hand, homes are more affordable. In fact, those valued at millions of dollars in Santa Barbara can only cost $500,000 here. This place is also a great one to stay because you don’t need to get out of it for shopping, beaches and nightlife. The median home listing price here is $215,100, with an average time between sales reaching 97 months. Homeowners even if they want to buy a new home or live in another city, stay put because of lack of homes for sale on the market along with increasing real estate property prices. Most of them also do renovations of their properties because they believe these homes aren’t easy to replace. Even if they have the chance to, they know that they will have a hard time finding a new home. Should I sell or hold on to my property in Albuquerque? The average list price of a home here is $259,500, with an average time between sales of 98 months. It is the largest New Mexico city that is known for its pueblo homes with flat walls and roofs perfect for the summer in the hot region. Many residents here don’t have a great desire of trading up and living in other places. They stay put because of strong culture and family-oriented communities. The experts say that many locals also don’t have the strong desire of owning designer clothes and luxury cars because they’re down-to-earth, too. El Paso is an attractive real estate location because of great food and lots of charm. Most of the jobs here have to do with gas and oil industries and from the government, but many residents are still struggling. In fact, the average income of each household here is 33.3% below when compared nationally. The average time between sales in this area is 99 months, while the average home price is from $170,000, as well. Due to lower income, the residents aren’t inclined to selling. But for those who do sell, they are looking to downsize or nearing their retirement. 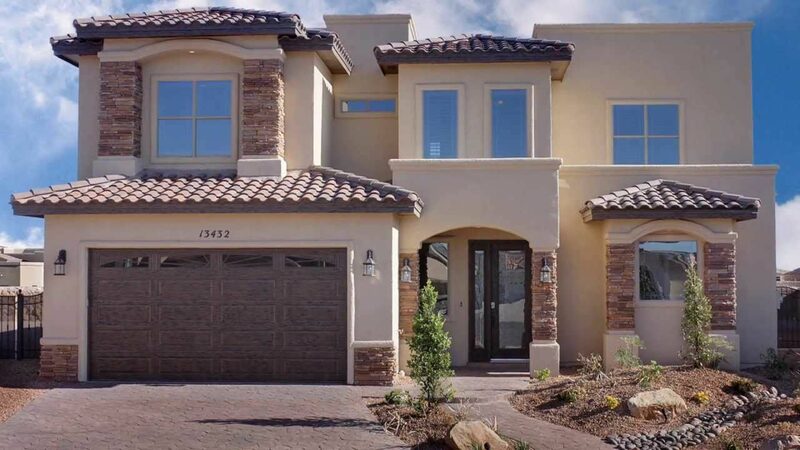 FACT: El Paso has about 69% of homes that can be bought by middle-income buyers. One of the main reasons they do is that they like where they are. In fact, about 70% revealed that they’ve not wanted moving in over 10 years because they’re comfortable in their homes, based on a National Association of Home Builders survey. On the other hand, 21% of those polled have chosen to stay in their homes because of the moving expense. Many US homeowners aren’t willing to stress on finding a new home and then spending on the subsequent cost following relocation. Ten percent of the respondents, on the other hand, are staying put in their homes due to lack of inventory of affordable and available homes for sale. There you have the top US cities where homeowners stay put and don’t plan of leaving their residences for years. Also are the top reasons that many of them do not want to sell their homes or move out of their current city. Hope you learned something from this information. If given the chance, would you leave your home, sell it and relocate to another city? We’d like to hear from you! Finally, share this article on Facebook today! This entry was posted in Blog and tagged homeowners, jason miller, real estate, real estate in maryland, us cities, US cities where homeowners stay put. Bookmark the permalink.